"It's a tour de force of great reporting, and come next June, it will probably be the must-have souvenir from the U.S. Open merchandise tent." Most of the raw material that was used to build the Seattle skyline came from the gravel mine where Chambers Bay is now built. 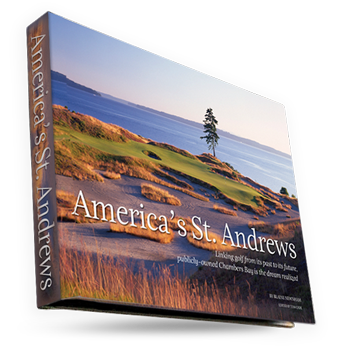 View an extended gallery of the award-winning photography inside America's St. Andrews.